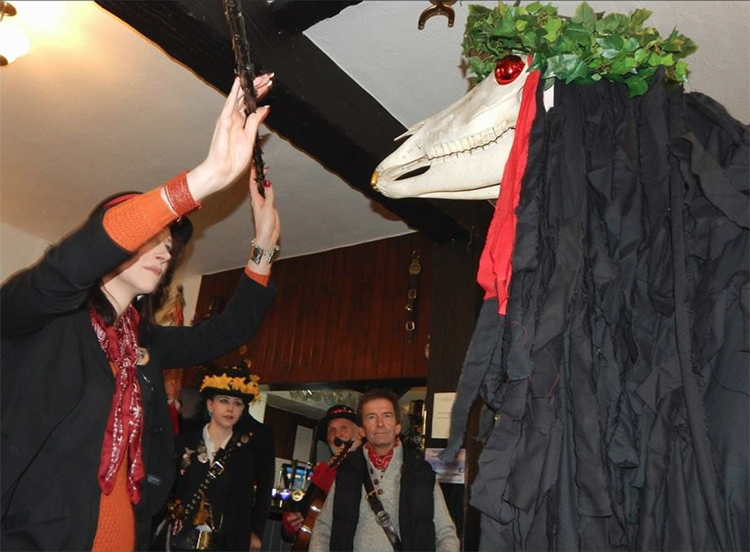 Here are a few photos from March 5th of our celebration in the village for St Piran’s Day (Patron Saint of tin miners and regarded by some as our Patron Saint of Cornwall). 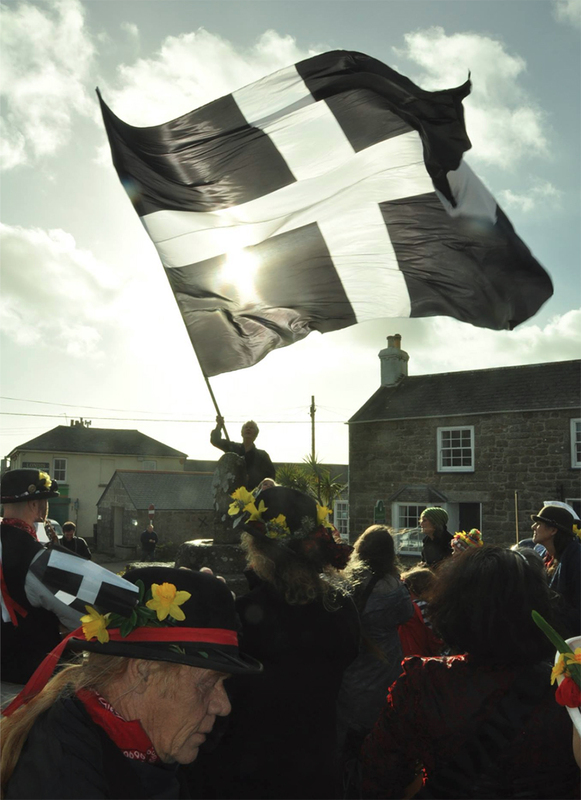 The day was organised by the Cornish Culture Association, and involved the Raffidy Dumitz band and Tros an Treys Cornish Dance Group. 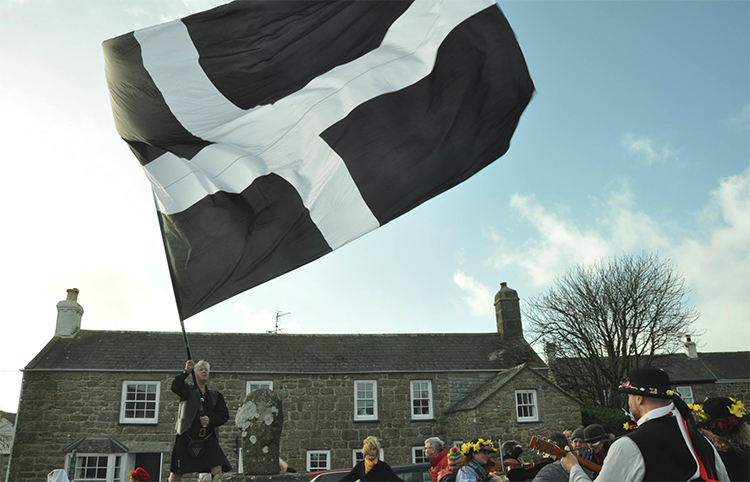 Music and traditional dancing was enjoyed in the centre of the village, with locals watching from the churchyard as a giant St Piran’s flag was unfurled into the strong winds at the ancient stone cross. We then gathered in the village pub, the St Buryan Inn, to enjoy more Cornish music, dancing and a feast of Cornish Pasties! 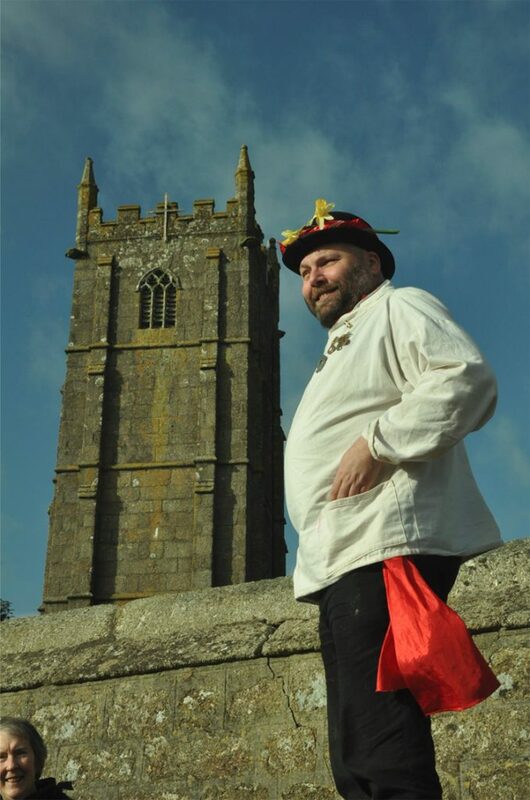 I also took on the role of ‘teaser’ in the pub for Penhood; one of Penzance’s festival Osses. As I have retired from performing as Kasek Nos, and have chosen a new ‘rider’, it was quite meaningful to begin my new role in my home village. 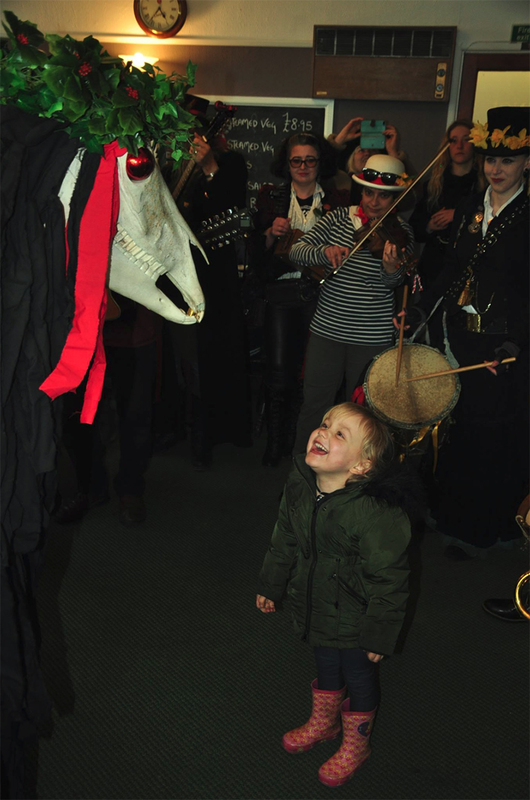 I look forward to teasing in the streets of Penzance during the Montol festivities. It was wonderful to celebrate the day in the village, particularly as several members of the band and the association are St Buryan locals, and to have a chat with our lovely vicar, the Reverend Canon Vanda Perrett who joined us for the event. The St Buryan Inn and other locals were most hospitable and we have been invited to perform again next year.